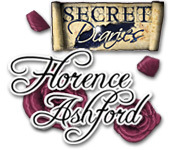 Secret Diaries: Florence Ashford was available as a giveaway on February 10, 2019! 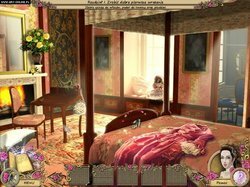 How would you improve Secret Diaries: Florence Ashford? 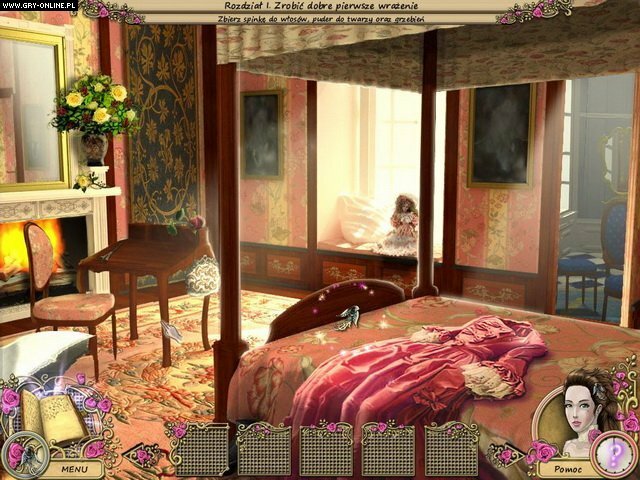 Secret Diaries: Florence Ashford is another good looking Hidden Object Game with some decent puzzles. I've only played it for about half an hour and don't have any more time, so will not be posting a review of it today. This is partly due to Mondays game, which is one of my favorite games of that type and the third in its franchise; not giving any big clues away except to say it is almost 9 years old, but it's still a popular game that has overwhelmingly positive reviews on Steam. It's a limited giveaway, with 30 Steam keys up for grabs. I'll be concentrating on that game intermittently throughout Sunday in between helping my daughter with her exam revision and interview practice (she has three important interviews coming up for a university place) plus I'll be playing my favorite RPG The Elder Scrolls Online whenever I have time, so will only be moderating today. Hopefully A. Reviewer will post something suitable about Secret Diaries today. :) I've posted a few links to game play videos HERE, HERE, HERE and HERE, plus a few images below. Whiterabbit-uk, I've a super ton of great HOGs, most thanks to this site, so I'll give this one a miss, though the art is truly quite pretty. Wish your daughter good luck with her exams and you all a great day. Wish I could play some Skyrim myself, but this poor machine has no 3D rendering, at all. Whiterabbit-uk, I've a super ton of great HOGs, most thanks to this site, so I'll give this one a miss, though the art is truly quite pretty. Wish your daughter good luck with her exams and you all a great day. Wish I could play some Skyrim myself, but this poor machine has no 3D rendering, at all. Skyrim is a brilliant RPG. when you eventually get the chance you'll love it. When you say no 3D rendering; is that becasue you don't have a decent video card? I have an old NVidia GTX450 and a GTX 560 one with 1 GB and one with 2GB of gRAM. Can't remember which way around those are. Would send it on to you if the card will fit your computer. One of them definitely works becasue my daughter was playing The Elder Scrolls with it last year before I upgraded her computer. It's now been added to my box of spares and will ultimately be consigned to the recycling station as I doubt i'll need to use it again. Also, I have a spare key for the online version i.e. The Elder Scrolls Online, it's only the base game and doesn't include any of the dlcs, but it still has a lot to offer. If you do get an upgrade, or are able to use the graphic card I have spare you can have the key. Let me know what your system specs are. Whiterabbit-uk, A technician (qualified) upgrade this old HP Elitebook. It has great RAM and such, but guess the graphics stuff is on board, so maybe that's why there's no 3D capability. Suppose its original purpose was as a workhorse machine. I'll sent you the spec in Steam anyway, if possible or via any email you mostly use. I have never been unable to go to MPC and find the download of the day by clicking on the link posted here from their site. I couldn't find that link from their site here today, obviously, for good reason and I can't find the program anywhere on their site. I do this because I have been unable to get through the security feature which by BTW, I don't in any way object to. In spite of Whiterabbit kindly emailing me much significant information some time ago as to how to do this, I guess my (pea brain) :-) still can't figure it out. I am of course pretty limited in what I can get from this site if it ever returns to other offerings besides from MPC. Any thoughts? Good luck today Whiterabbit with all of your family things today. I hope everything goes well. I have never been unable to go to MPC and find the download of the day by clicking on the link posted here from their site. I couldn't find that link from their site here today, obviously, for good reason and I can't find the program anywhere on their site. I do this because I have been unable to get through the security feature which by BTW, I don't in any way object to. In spite of Whiterabbit kindly emailing me much significant information some time ago as to how to do this, I guess my (pea brain) :-) still can't figure it out. I am of course pretty limited in what I can get from this site if it ever returns to other offerings besides from MPC. Any thoughts? Good luck today Whiterabbit with all of your family things today. I hope everything goes well. Regards. Hi HisSon, please excuse the late reply, I had unexpected visitors yesterday and wasn't able to moderate like I usually do. I also tried to get a copy of this game from MPC the day before it was due, but wasn't able too. some of the games we get here are removed from the MPC stock for some reason (possibly the owner of the license may have asked for it to be removed). Whiterabbit-uk, Thank you Stephen for replying to my comment. Your suggestion about why this game wasn't available I hadn't thought of. I continue to appreciate you and this site. Its free, stop complaining about how bad the game is. Constructive criticism is one thing, complaining about how the game does not meet your expectations of a hidden object game for an advanced user is another! This would be a great game for novice user like my daughter . 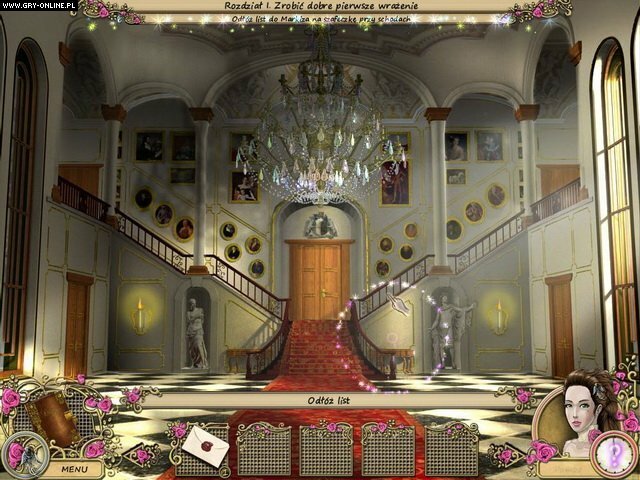 wow, never played a game that points to where all the hidden objects are hidden, or where to go next. It can't seem to let us figure any of it out for ourselves? I realized I used the normal mode, but I usually do, but that doesn't mean it plays the game for you. OK, first thing, the game crashed the first time I tried to run it. Then I set it for compatibility with Windows Vista SP2, and it ran the second time. Secondly, can't run in windowed mode, and can't choose to use system cursor. It resets my graphics to a lower mode so when I quit, everything is in a smaller size window to accomodate the temporary change in graphics size. Grr! The game seems like it will give me all the answers so having a walkthrough seems hardly necessary except possibly for some puzzles I have yet to encounter. Visually, I had a lot of trouble with the very first HOG scene as some items were pretty well hidden, but hints took care of those in "normal" mode with minimal wait times. I didn't take offense at the housekeeper giving orders as she seems polite enough about it, but also I don't expect programmers to be history buffs. I'm willing to go along with historical discrepancies. However, the first encounter with the Marquis seemed odd, as he didn't introduce himself by name or rank and I wondered how the lady would know automatically who he was. He could have been the butler for all we knew. Anyhow, seems like I can play this through but will be expecting the programmer to have made more such gaffes along the way. So far, aside from the initial issue, no problems on Windows 10 Home Edition 64 bit laptop. I'll try the game and see how I like it but I'm not picky as long as there's no bugs and it's reasonably easy for casual gamers like me. 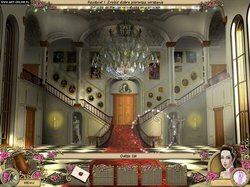 There's a one-page walkthrough on Game Gazebo that looks very helpful: https://www.gamezebo.com/2010/10/19/secret-diaries-florence-ashford-walkthrough-cheats-strategy-guide/ Also, a forum on BigFishGames website for all things Diary of Florence Ashford http://forums.bigfishgames.com/posts/list/122041.page I'll try the game and see how I like it but I'm not picky as long as there's no bugs and it's reasonably easy for casual gamers like me. If you have nothing to do today and you’re looking for something to do – then this game is an option. There are two modes, normal and expert. 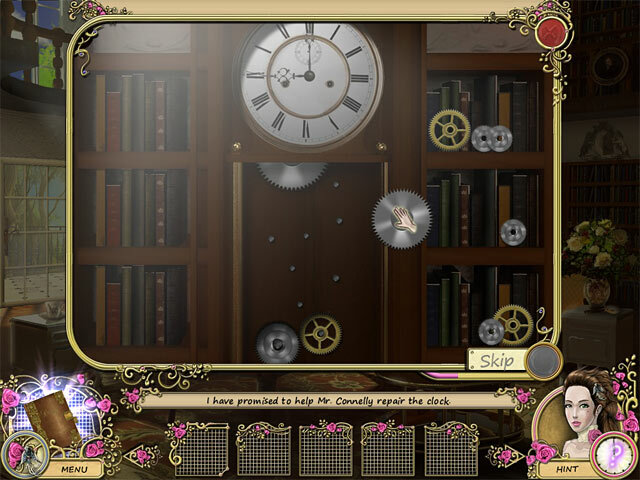 Normal mode gives you hints and without them you’d be thoroughly lost as there is no map and no logical progression – because of course you’d go look for the keys in the bathroom, who wouldn’t? It’s a story straight out of the dark ages – damsel in distress looking for a rich hero. (With a messy hairstyle that was only slightly improved after combing it – if you’re going to have a period piece, at least get the hairstyle right.) It continues with her trying to save the family and I’m sure she’ll end up the hero but … Unfortunately, a single line at the start of a story put me right off wanting to play the game. The story bits were boring and predictable – “Hello, how are you, I’m so and so, I’m happy to meet you ….” It’s also confused, your guest is given chores by the housekeeper who in the next scene is in the kitchen baking. If you want a period piece- then you should stick to the rank and order that was present at the time. The whole game is just time wasting – you must do things like pick up a letter, put it in your inventory, take it from your inventory, put it on the table. As far as I played it had one mini game that was actually a mini game – where you have to put keys on the right slot – the rest was just telling you to complete actions. In some cases, I just followed the sparkle and found the object I was looking for – because it was the only object there that was clickable, so you’d always find it. You spend a lot of time walking through the rooms because there is no map (as far as I played). And then you’re sent to the kitchen, from the bedroom, to look for a quill and paper to write a letter … I gave up. 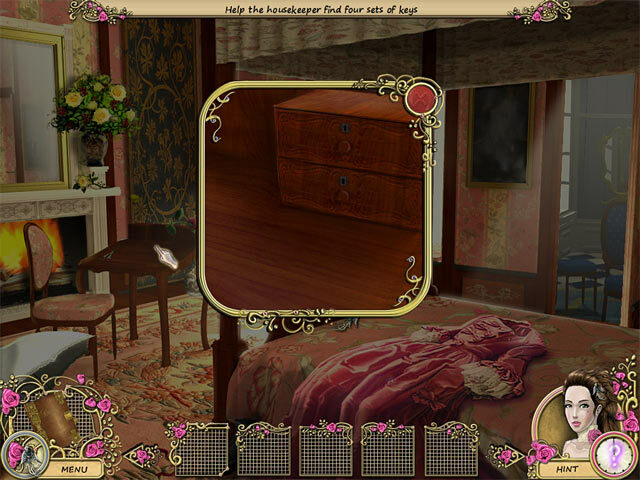 The hidden object scenes are text based so you’d need a reasonable command of English to play this game. In some of the scenes there’s a slight haze over the picture that I didn’t like. 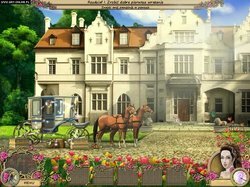 I did find the hidden object scenes to be well made with things blended into the scene and if you can suffer through the rest – these scenes are worth playing. If you have nothing to do today and you’re looking for something to do – then this game is an option. There are two modes, normal and expert. Normal mode gives you hints and without them you’d be thoroughly lost as there is no map and no logical progression – because of course you’d go look for the keys in the bathroom, who wouldn’t? It’s a story straight out of the dark ages – damsel in distress looking for a rich hero. (With a messy hairstyle that was only slightly improved after combing it – if you’re going to have a period piece, at least get the hairstyle right.) It continues with her trying to save the family and I’m sure she’ll end up the hero but … Unfortunately, a single line at the start of a story put me right off wanting to play the game. The story bits were boring and predictable – “Hello, how are you, I’m so and so, I’m happy to meet you ….” It’s also confused, your guest is given chores by the housekeeper who in the next scene is in the kitchen baking. If you want a period piece- then you should stick to the rank and order that was present at the time. The whole game is just time wasting – you must do things like pick up a letter, put it in your inventory, take it from your inventory, put it on the table. As far as I played it had one mini game that was actually a mini game – where you have to put keys on the right slot – the rest was just telling you to complete actions. In some cases, I just followed the sparkle and found the object I was looking for – because it was the only object there that was clickable, so you’d always find it. You spend a lot of time walking through the rooms because there is no map (as far as I played). And then you’re sent to the kitchen, from the bedroom, to look for a quill and paper to write a letter … I gave up. 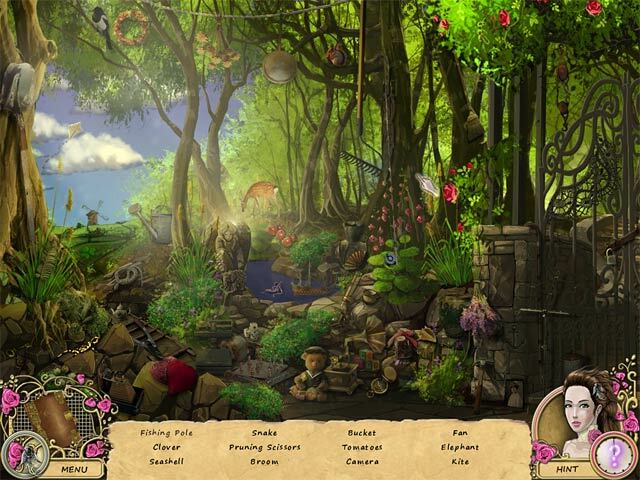 The hidden object scenes are text based so you’d need a reasonable command of English to play this game. In some of the scenes there’s a slight haze over the picture that I didn’t like. 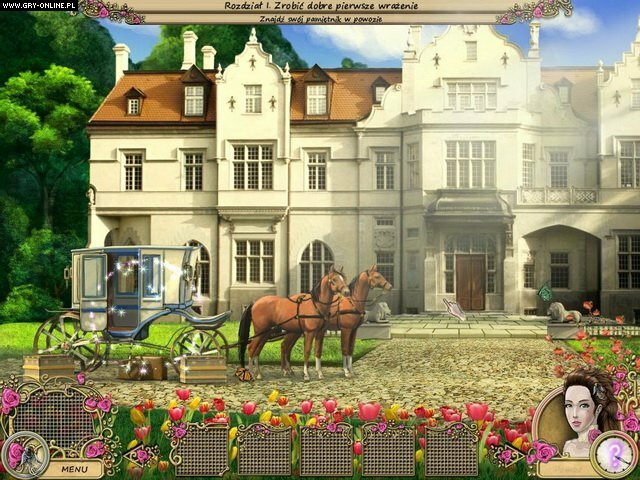 I did find the hidden object scenes to be well made with things blended into the scene and if you can suffer through the rest – these scenes are worth playing.